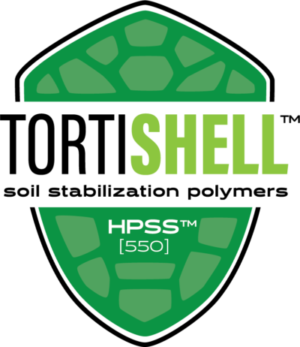 TortiShell™ HPSS-550 and TortiShell™ RTS are high performance acrylic copolymer emulsions that can be used to construct permanent “pavement” surfaces (exposed or otherwise). With high strength and low degradation due to wear, TortiShell™ shear potential is extremely low. They offer new ways to construct traditional sub-grade and pavement surfaces, resulting in highly durable wear-courses that can last much longer than asphalt and concrete when properly maintained, at a fraction of the price. 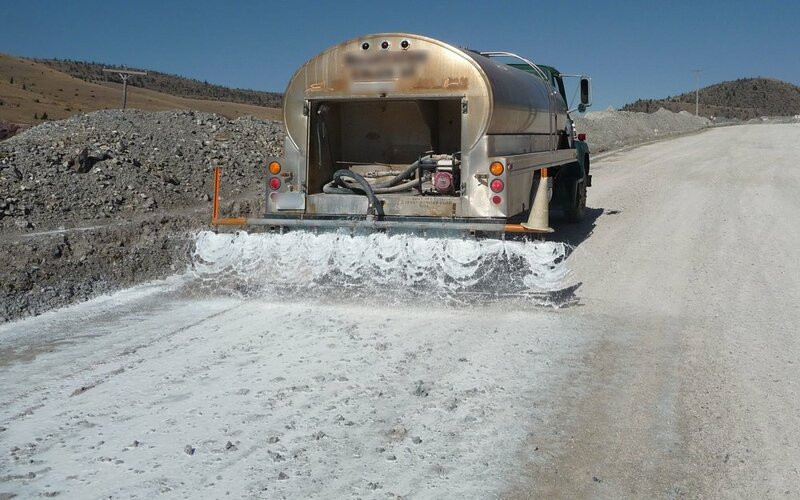 TortiShell™ is a high performance, low cost acrylic copolymer used for soil stabilization and long term dust abatement. When applied to various soils, it will penetrate and extend down to create a web of tough protection. Upon drying, TortiShell™ will form a clear resin, molecular lattice around the soil particles. Increasing the concentration of TortiShell™, creates a highly durable condition that will be pliable and hard enough to minimize damage caused by traffic, provide armor against surface erosion of fines, and waterproof the surface to help shed water from the traveled surface. Water ingress into the aggregate matrix is one of the major contributors of unpaved surface degradation. Due to the TortiShell™ application cycle, it effectively lowers costs and reduces water consumption in areas susceptible to drought where constant watering is required. Available in bulk drums, IBC totes, or tanker trucks. These aren't the only uses, we always find new and innovative applications for TortiShell™. Pac-imd has kept in mind the unique challenges of each job when formulating our TortiShell™ family of copolymers. So, with our customers in mind, Pac-imd developed a customizable copolymer; that way, Pac-imd can address most any field condition. If you're struggling to find the perfect product for you job, contact us with the job details and Pac-imd will find a solution for you!